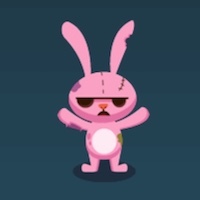 RABBIT ZOMBIE DEFENSE | Free Mobile Games on Funky Potato! Undead rabbits have invaded your garden. Defend yourself from the hordes of evil monsters!